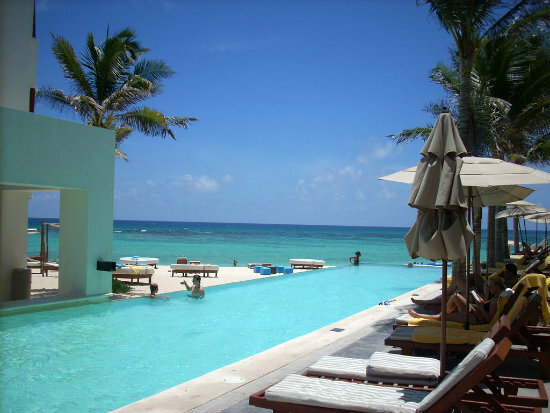 Looking for hotels in Tulum, Mexico? Want the all inclusive resort experience? 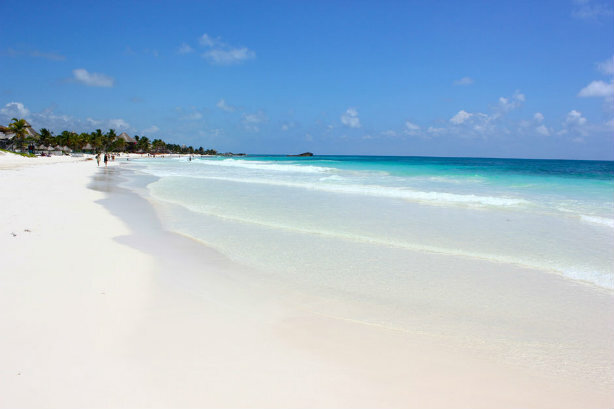 Here are some options for all inclusive resorts in Tulum and the surrounding areas. 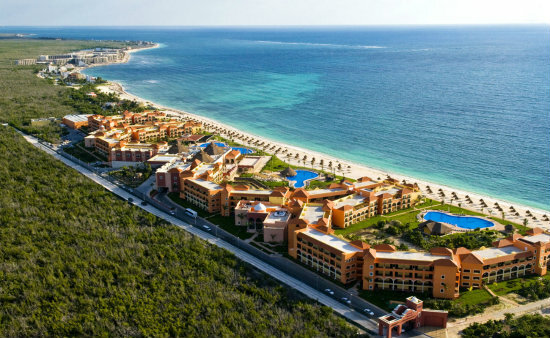 This 5 star, 24-hour all inclusive resort is a great choice if you want a luxurious getaway in Mexico. 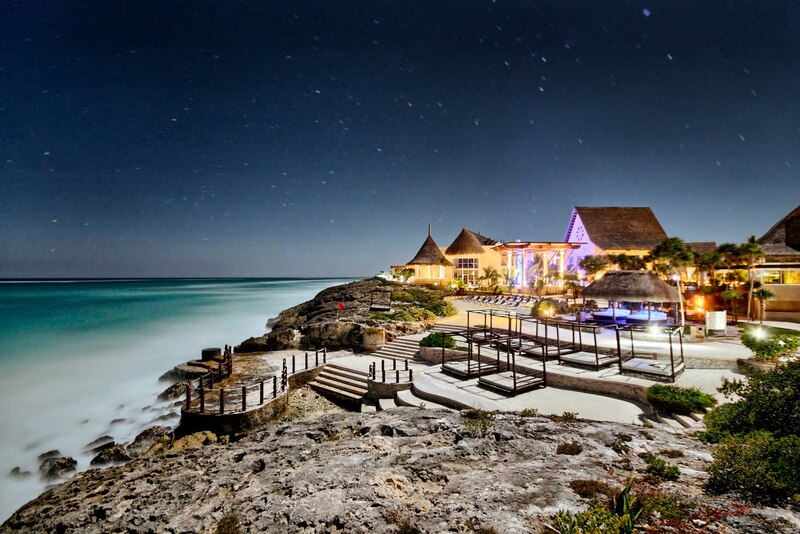 Set on the white sand Tulum beach, it offers 7 International restaurants, and 6 lounges serving premium brand drinks. The kid’s club is sure to entertain while you get a little bit of “me” time. Designed for kids 3-11, it offers fun in a safe environment (and you get a beeper!) so you can enjoy peace of mind. Some of the services are: playground area, splash fountain, climbing wall, game room, video games, treasure hunts, and a weekly camp out. Why not check out the spa? Treat yourself to a massage, sauna, mani-pedi or try a real Mexican Temazcal. The Dreams Tulum offers a full daytime and nighttime activities program and features a Mexican night, live music, and a weekly beach party. Other services available include tennis courts, a gym, shops, a cafe, a disco and even a chapel. This chapel and the Dreams Tulum setting makes it a popular choice for destination weddings in the Mayan Riviera. The rooms and suites are elegantly furnished and include a mini-bar, 24-room service, twice daily maid service and personal amenities. Choose from either a garden, or ocean view, or upgrade to the Preferred Club for extra added luxury. Check pricing and availability for Dreams Tulum here. This compact family friendly resort is located just a few kilometers north of the Tulum ruins on an expanse of white sandy beach. It has typical Mexican colors and warm, friendly ambiance. It has one buffet restaurant, one Mexican specialty restaurant and three bars. Sports such as beach volleyball, aerobics, tennis, ping-pong and darts are available. Garden view and ocean view rooms are available. They have family rooms that accommodate up to 6 people as long as 2 children are under age 4. This huge all inclusive resort is comprised of 4 different sections. 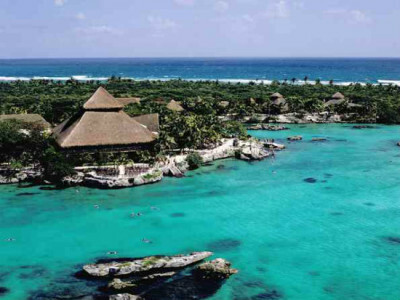 It has the Tulum section with 858 rooms, the Akumal with 658 rooms and the Coba area with 1080 rooms. For these three sections, you have a stay at 1 play at 3 concept so access to 3 times the services. If you are looking for a little more luxury you may want to consider the Sian Ka’an, adults only section, with 420 spacious, modern suites. Built amidst the golf course, you are in a secluded area but you have complete access to the entire Bahia Principe complex. A train runs through from lobby to lobby on a regular interval making it easy to get around. Offering a full range of daytime and nighttime activities, over 15 restaurants, and 10 bars to choose from as well as 24 hours snacks and drinks, there is something for every taste. Just some of the sports and activities available are: tennis, soccer, basketball, volleyball, mini golf, ping-pong, aerobics, a gym, snorkeling, kayaks, boogie boards, games and a golf course (extra charge) right on site. The Oasis Tulum is a more intimate atmosphere type hotel with its 308 Mexican style rooms. Although considered a “small” for an all inclusive resort, it still offers 5 restaurants, and 6 bars including 2 swim up bars. Choose Asian, Mexican, Italian, Sushi, buffet-style or snacks. There is daytime and nighttime entertainment, a gym, a pitch and putt course, disco, non-motorized water sports, and a spa. Also including with the Oasis Tulum is the ooportunity to visit any other Oasis resort (in Cancun and the Mayan Riviera) during your stay. Receive a day pass to sample the atmosphere of the other resorts (transportation not included). This adults only, all suites resort is located on a beautiful stretch of beach in the Mayan Riviera. 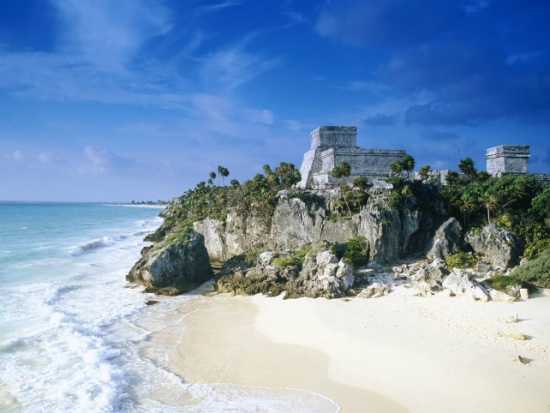 Although about 25 minutes north of Tulum, it still is called the Royal Tulum. 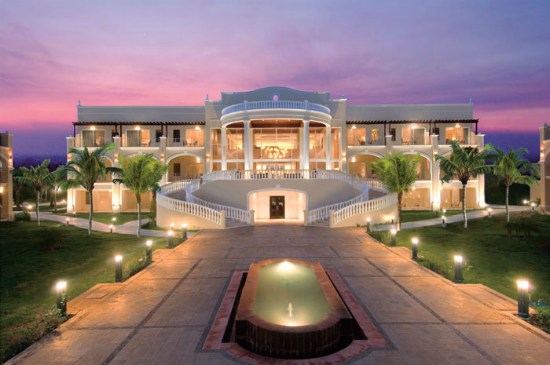 There are 6 restaurants, 3 bars and the 24 hours lobby bar at the Royal Catalonia Tulum. Onsite services include free Wi-Fi throughout the hotel, a spa, a gym, a night club, non-motorized water sports as well as the full range of daytime and nighttime activities. The 94 spacious suites all feature Jacuzzi’s, 24 hour room service, a mini bar and are modernly decorated. There are 4 outdoor hot tubs, a swim up bar, and an infinity pool facing with stunning views of the sea. It is adults only and all inclusive, but offers an international gourmet cuisine experience, or a wellness detoxify program. To help direct those on specific wellness programs, they have a resident nutritionist. They also offer meditation, yoga, tai chi, dance and they have a fitness center. If you want a little extra pampering, the Spa offers a salon, massage, body treatments, Jacuzzi, sauna and steam room. 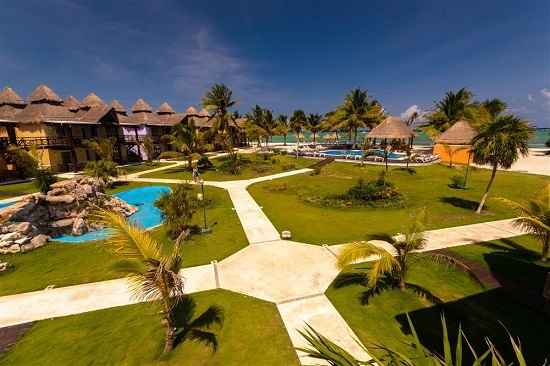 The Zenserenity Wellness Resort Tulum also caters to groupsand events. Contact us for group rates. Book your Dream Hotel, with Us! 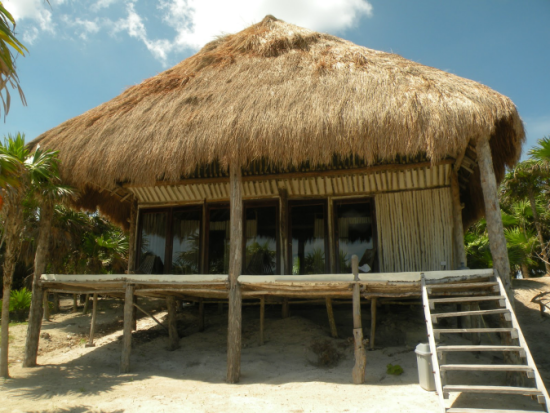 We have exclusive relationships and deals with Tulum hotels. We know the area, the details and can get you the best deals. Get in touch, we are happy to help!